Google sponsors an international science contest called the Lego Education Builder Award. One of eight top winners this year was 13-year-old Anushka Naiknaware, a seventh grade student in Portland, Oregon. 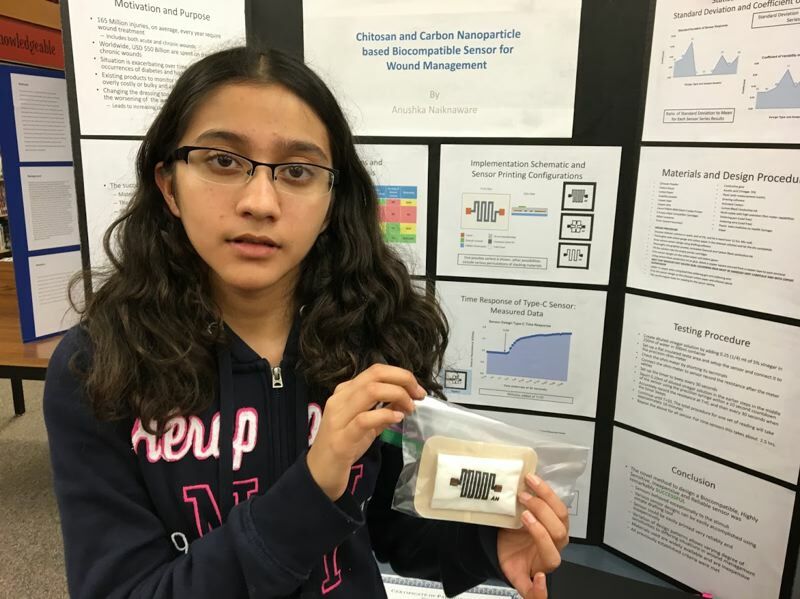 Anushka created a bandage that tells doctors when it needs to be changed. Healing requires injuries to be kept moist, but frequent changing of bandages does more harm than good. So, Anushka invented and tested a bandage that is embedded with tiny monitors. They sense moisture levels and allow medical staff to see if the dressing has dried out enough requiring a change. Anushka was one of sixteen and the youngest global finalist. She won a $15,000 scholarship, a trip to Lego world headquarters in Denmark, and a year of mentoring with a Lego executive. She hopes to obtain the approval of the U.S. Food and Drug Administration for her to proceed with manufacturing and marketing the bandages. Congratulations, Anushka. We’re sure we’ll be reading about you again.